After reviewing many applications for officer positions, the Supreme Commanders are now ready to receive applications for grunt positions in both teams! In the past week, the teams have been working on setting up a team structure, contacting their officers, and assigning roles and responsibilities to ensure that the team staff and the squad leaders are dedicated and active to provide everyone with a great campaign. Support your team by organizing and participating in team and squad trainings or help planning the strategy for the next battle. If you prove your leadership and fighting skills on the battlefield, work on your team's propaganda or recruit and train members for your team you can move up the ranks easily, as the past campaigns have shown. Case in point, many of the staff of both teams joined PRT Campaign 10 and 11 as normal soldiers and were quickly promoted to SL and even higher for their work for the team. Do not hesitate to join up - even if it's only a reserve slot - everyone gets their fair chance to play and be promoted to normal soldier! This will mark the official start of the campaign and everyone will get access to the Team forums and teamspeak channels. Soldier Sign-Ups will close as soon as the Teams are filled! There are 100 slots in each team to be filled (70 members, 30 active reserves per team). Please note that after a team hits the 75 member limit, further applicants to that team will automatically be allocated to the reserves. The PRT Rules and Regulations explain what it means to be a reserve. The total number of slots available is 200 for both teams combined. You sign up for a Team (A, B, or "no preference") and NOT for one of the coalitions (APN, EMC). These will be assigned to the teams only after both teams are filled! More information about the teams can be found here: Teamlead Announcement. If you choose a team, you have the possibility to select a role you would like to take. 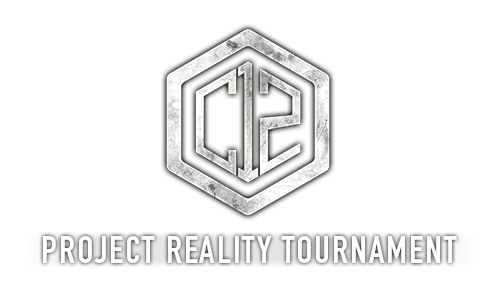 Both teams set up some categories that you can choose from, regarding the role you would like to take in the tournament. You can specify what you like doing in PR in a free text field as well. Last edited by [R-DEV]Mats391; 2016-10-16 at 10:01.. Going to be hopefully an amazing time, hype train is on full steam trucking ahead, choo choo. Signups are currently closed as we've filled all of the available slots. Both teams are now full but there are always players who're removed after a week or so. Keep an eye on the website's header and on the How do I Signup? thread as they will show you the current status of the signups. WTF? I wasn't around the interwebz yesterday. I want to play. No, I need to! Keep an eye on the forums, signups will open again at some point. Can even use the RSS feed if you're into that sort of thing. 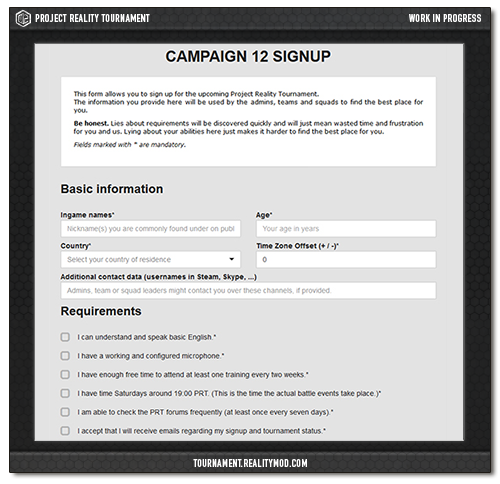 We got 140 signups in about 30 hours. Reserve signups should re-open in a week or two due to dropouts. I was watching this for weeks, and then the signups open just as I'm on holiday and don't check it for 2 days.